Tuesday 10th July. Bonjour Paris! Sunday 15th July. Benvenuti a Roma! Discover Major periods of European history: Roman Empire, Versailles & the Sun King, French Revolution…. Great opportunity to practise French & Italian languages. Today you will visit the Montmartre district which is close tot he hotel. You will walk on the steps of Renoir, Van Gogh or Picasso. You will see their houses & studios. You will have some time on the Place du tertre where the artists gather nowadays. You will have the possibility to get your portrait. You will visit the famous Sacred heart basilica. From there you will have a fantastic view over Paris. Visit this morning the Louvre Museum. Former residence of the French kings it is now one of the greatest museums in the world. The Louvre collection exceeds 300,000 masterpieces. Your private guide will let you discover its greatest treasures like: Monna Lisa, Venus of Milo, Wedding at Cana, Coronation of Napoleon. In the afternoon enjoy the Tuileries gardens: Paris most famous garden. You will love walking on France most famous avenue: Champs Elysees. You will have many shopping opportunies there. From the top of the Arch of triumph you will have one of the best views over Paris. Visit the amazing Notre Dame Cathedral. Its construction started in 1163. It is the major church in France and dedicated to Our Lady Virgin Mary. You will be amazed by the stained glass windows. Visit the Latin quarter: the students district. You will discover the Sorbonne university. Nearby you will be impressed by the Pantheon architecture. Enjoy some free time in the Luxembourg gardens. One of the Parisians' favourite gardens. Full day excursion to Versailles by train. Royal city located 15 km to the west of Paris. With more than 700 rooms Versailles is the most impressive French Castle . You will see King Louis XIV's great appartments, the Royal chamber and the amazing Hall of mirrors. You will have also the opportunity to bicycle through the Great Park. Dinner in a traditional restaurant in Paris. Special atmosphere today in Paris with many events to celebrate Bastille Day, the French national day! Visit this morning with your professional guide the Musee du Quai Branly, civilisations museum. In the afternoon you will ascent to the second floor of the Eiffel tower. Your professional guide will tell you lots of stories about this Parisian symbol. Did you know it was the highest building in the world when it was built in 1889? Transfer by private coach to Paris airport. Flight to Rome: 2 hours. Upon arrival transfer by private coach to your hotel. You will visit the hotel neighbourhood. You will visit the Baths of Diocletian. They were the largest and most beautiful in the Imperial Rome (among 900). It will be a great introduction tot he Roman Empire. Nearby you will visit the Basilica of Santa Maria Maggiore. The campanile built in 1377 is the highest in Rome. Did you know that there only 4 major basilicas in the world? All of them in Rome! All the other throughout the world are minor basilicas. Dinner in a traditional restaurant in Rome. Visit this morning the impressive Colosseum. Symbol of the Roman Empire’s power. Finished in 80 AD. You will be impressed by ist dimensions: 189 m x 156 m and its modernity. It detains everything we can find in a stadium nowadays. You will be able to imagine all the events which took place inside: Naval battles, Hunting, Gladiators’fights. Nearby you will visit the church St Peter in chains. You will see the chains of St Peter and also the fantastic sculpture Mose by Michelangelo. Your guide will tell you the story of the unbelievable project wanted by Pope Jules II. You will see also the Roman Forum. In the afternoon you will enjoy free time on the Via del Corso. Great opportunity to enjoy the famous Italian Ice cream „Gelato“. You will visit this morning one oft he greatest museum in the world: Musei Vaticani. With your professional guide you will discover some of ist treasures: Laocoon, Sixtine Chapel, Raffaello’s rooms. You will be amazed by the size and the beauty of St Peter’s basilica. You will admire there the fantastic Pieta by Michelangelo. One of the most famous sculptures in the world. You will have the possibility to ascent to the top of the Cuppola. With your professional guide you will discover Rome’s most beautiful squares. Piazza Navaona used to be a stadium at the time of Domitian during the Antiquity. You will love walking & relaxing there surrounded by gorgeous buildings, cafés and artists. You will be amazed by the fountains designed by the master of Baroque: Bernini. On Piazza della Rotonda you will visit the beautiful Pantheon. Inside you will see Raffaello’s tomb. A bit further Piazza del Popolo used to be the execution square. Today it is one of the nicest squares offering great prospectives. On the Trevi square (Tre vie = 3 streets) you will the famous Trevi fountain. You will concluded with the Spanish square (Piazza di Spagna). There is always a great amosphere there in the evening. Just like Goethe, Dickens or Wagner you will love relaxing or chatting on the Spanish steps. It will time to say „A la prossima“. The organization and the sale of travels is regulated by articles from R211-1 to R211-43 of the Code of tourism and also by articles from R213-15 to R213-27 in accordance with decrees 2006-1128 and 2006-1129 of October 6th 2006. Bookings are only confirmed after receiving the customer’s booking commitment and a a 30% deposit. The 30% deposit is non refundable in case of travel cancellation. In case of travel cancellation less than 15 days before depature, the whole amount will be required.  Every booking requires the full acceptance of our « General conditions of sale ». Customer commits to paying balance by cash, credit card, cheque or bank settlement 15 days before travel’s departure. No payment will be accepted during the travel. Customer has to indicate which rooms he needs. The rooming breakdown will not be changed later as the hotel selected may have not other rooms available. - Entrance tickets to monuments, castles or museums (as indicated in the program selected). Depature place is always at the address indicated on the program customer bought. Punctuality is very important. We advise our customers to arrive 15 minutes before depature time. During the travel to optimize the discoveries customers have to respect time instructions given by the professional guide. Concerning return time indicated in the program is based on regular traffic conditions. We cannot be held responsible for a potential delay. AWESOME GUIDE recommends travellers to watch their personal belongings. We also recommend to subscribe a private insurance for lost luggage, cancellation and repatriation. Awesome can offer this insurance policy with supplement. • Before 15 days prior to the travel day : 30 % deposit paid when booking was made. • Within 15 days prior to the travel day : 100% of the travel price. Every cancellation has to be notified by registred letter with acknowledgement receipt sent to Awesome Guide. In case of no show or delay at the departure time, no reimbursement will be made. AWESOME GUIDE reserves the right to modify and cancel every travel 22 days before departure day. In that case full reimbursement will be made.  AWESOME GUIDE has subscribed with HISCOX France an insurance contract guaranteeing its professional civil liability. Contract N° HARCP0246234 in accordance with the articles R213-27 of the Code of Tourism. The professional liability insurance coverage gives AWESOME GUIDE protection from the risks facing in delivering professional services : personal injury, property damage. All complaints should be addressed by mail to Awesome Guide within 5 days from the travel departure day. Only AWESOME GUIDE is competent to give a decision regarding complaints. To offer more comfort and safety we set up an online payment system with our bank (Caisse d'Epargne Bourgogne Franche Comté). You proceed with the whole payment in only 5 stages. In order to achieve this you need your credit card. I log in on www.awesome­guide.com/user to pay the remaining amount. I have access in my pre filled shopping cart. The final amount to be paid is indicated. I just have to pay. The deposit enables us to book transportation tickets, accommodation, and all the activities of your travel. The 30% deposit is non refundable in case of travel cancellation.